Laura is a visual arts lover dedicated to direct and produce live visuals projects and experimental pieces for commercial brands, art exhibitions and worldwide academic presentations. She produces herself and host her work under the name of "Optikal Ink Lab" her AV laboratory and label. After many years working on advertising and TV as Filmmaker/producer, she found in 2008 the art based on video projection and light and she began to develop live performances and installations and to direct video mapping projects. Since then she has lectured and performing as "Optika " in electronic art festivals like Mapping Festival in Geneva-CH, LPM in Rome, Vision'R in Paris and VJ University in Sao Paulo and her videos has been screened on sites such as the Art Museum of Rio de Janeiro and at the International Mobile Innovation Screening in Wellington/New Zealand . Laura also has worked as VJ in several parties and concerts next to renowned DJ's and bands in South America, USA and Europe, in clubs like "REX Club" in Paris, "TRESOR" in Berlin and in cities like Bogota, NY, Budapest and Barcelona among others. As video mapping director she has designed large scales projects like the "AV Invader" in Bogota for 90,000 people during the Summer Festival with 140 m2 of video projection, the first made for this festival and the largest held in the city and recently in 2016 she designed, direct and produced a VIP stage area for Katy Perry concert in Colombia with a projected area of 480 m2., in addition she has collaborated in architectural mappings whit the international crew "United VJ's" in the cities of Sao Paulo, Japan and Finland. Lately Laura has been working on intervention of public spaces in festivals like the "Nuit blanche" in Bogota, Led media Facade projects for the biggest tower in Colombia in honor of Colombian folklore, video guerrilla and LED installations including FullDome projections. Selections, Exhibitions, talks and presentations. - MAPPING FESTIVAL Official Selection. Geneve / Switzerland. 2012. VJ set for clubbing and VJ contest. 4th place in competition. VISION'R 2012. 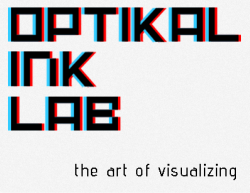 Showcase / Lecturer "Optikal Ink Lab". Paris, France. VJ torna International contest. Official Selection Brazil. São Paulo. 2010. VJ contest. Official Selection 2010 Videopolis Europe. Traveling exhibition by different European cities. VJ set and video art. Festival ALGOIMAGEN 2010, VJ set. Official Selection Animalario TV. Spain 2009. VJ set and Video Art. Intersonora - Speaker - Meeting of visual artists. Colombia 2009. Hacking Night - Speaker - Hackers Meeting in Colombia 2009. Campus Party Colombia -Jury Twingo Net Design Contest - 2009. Member of the United VJ's - International Team with partners in São Paulo, Brazil and Europe, performing around the world. - FESTIVAL CULTURA DIGITAL BRAZIL 2011 - Official Selection. Museum of Arts in Rio de Janeiro /Brazil. Digital Exhibition - VJ set. MAPPING FESTIVAL 2011 Official Selection. Geneve / Switzerland. 2011. VJ set for clubbing and contest. Cinetrip VJ TOURNAMENT 2010. Official Selection Budapest / Hungary. VJ set and contest.